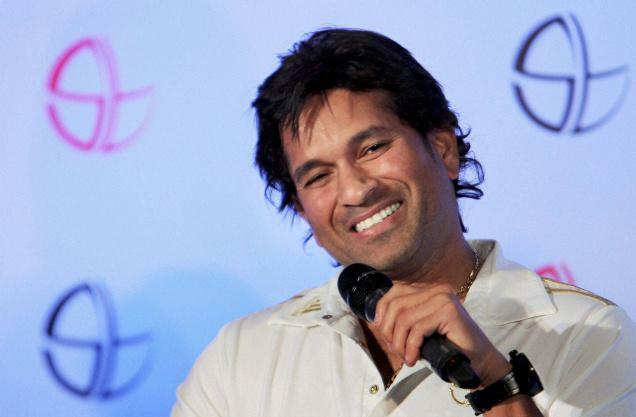 Sachin Tendulkar received support from unexpected quarters with five-time world champion chess wizard, Viswanathan Anand, urging him to continue playing as long as he wanted. “Criticism is fine, but if you still like playing it’s crazy to stop for no reason. In sport there is no question that it favours young people in general. But I really want to play chess still,” the 43-year-old Anand told reporters at a promotional event in Kolkata. “I am lucky to have the chance to play and I intend to use it. I imagine the same for him (Tendulkar),” India’ first Grandmaster in 1988 said. Terming 40 as just a number, Anand said it’s funny when one is questioned about age. “The first question people ask is when are you going to retire? And if both of you want to retire, can one of you retire… It’s a little bit funny. In my case, I don’t think there is any fundamental change from December 10, 2009 to December 11, 2010. But it seems to affect the way people see you,” Anand, who turned 43 on December 11, said. The chess wizard clubbed Tendulkar, former India captain Sourav Ganguly, tennis veteran Leander Paes as three top icons he had seen. “In general I have seen a lot of Leander Paes… I might have started a few years earlier but Sachin and I have been there for quite a long time. Sourav was there for quite a good part there as well. I think most of our careers we share together,” he said. Asked whether age was a factor, he said, “I don’t think the number 40 has any particular significance with chess. In chess, you definitely get more time.” “There is a certain wear and tear in physical sport. “There are sports like football and tennis, where people would be amazed if you continue beyond 32-33.” However, Anand said he did not wish to play beyond 50. “I think 50 is kind of a barrier. For me, I don’t expect to be playing top chess when I am 60. But still there are a few years left. In the meantime, I want to enjoy as much as possible. But Anand said he would like to win as many world titles as possible. “I have not fixed any number to it. It’s as many as they will let me in,” he said with a smile. But on a serious note he said he has a heavy schedule next year keeping in mind the next World Championship in 2013. “I have a heavy schedule next year. I would want to play as many as possible. The candidates for the world championship will be selected in March and I will know who my opponent is,” he said. Recalling his match against Boris Gelfand, he said, “it was extremely draining. It was a huge workload that you put in for more than three months. But I don’t think I am affected by it anymore. I was keen to play in Romania in June but it got postponed. On to things other then chess, Anand hoped the impasse between the Indian Olympic Committee and the Indian Olympic Association would be resolved with more than three years to go before the next Olympics.